Not every motorbike unveiled at Intermot is dripping in new bling and tech, several models are just getting a new lick of paint in 2019. 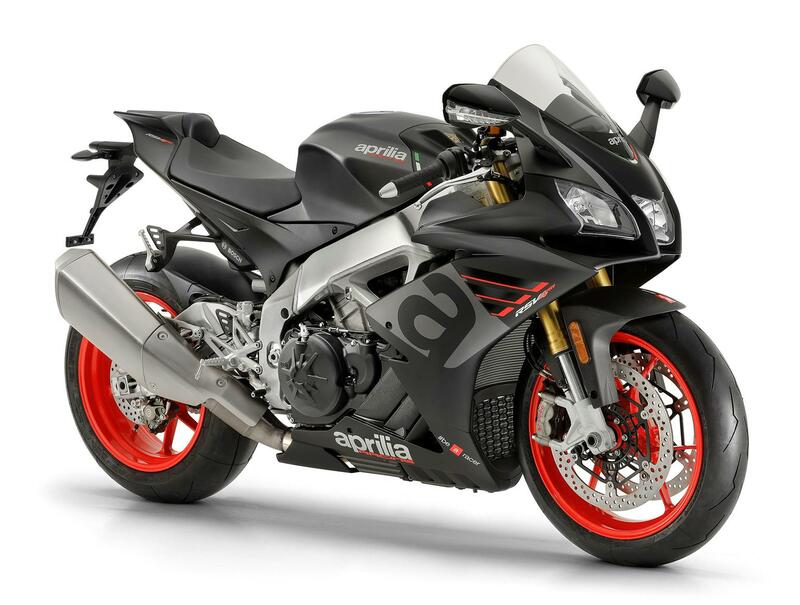 The 2019 Aprilia RSV4 RR now ‘Rivazza’ grey and ‘Arrabbiata’ black with red wheels while the RF gets a minor rehash of the Superpole graphic favoured in recent years. Oddly, considering the Tuono Factory gets Öhlins’ semi-active suspension, the RSV4 has to make do with top-spec mechanical Öhlins while most competitors go electronic. Yamaha have introduced a new version of their ubiquitous MT range-defining ‘Fluo’ paintjob. Gone is the lurid fluro yellow with grey, to be replaced by lurid red fluo with grey! Dubbed the ‘Ice Fluo’ – the defining characteristics are the red wheels, black engine casings, frame, forks and headlamps and the main body being ice-grey. They’re like battleships with go-faster stripes. The Yamaha XSR900 and XSR700 models are in line for a new paintjob in 2019, too. 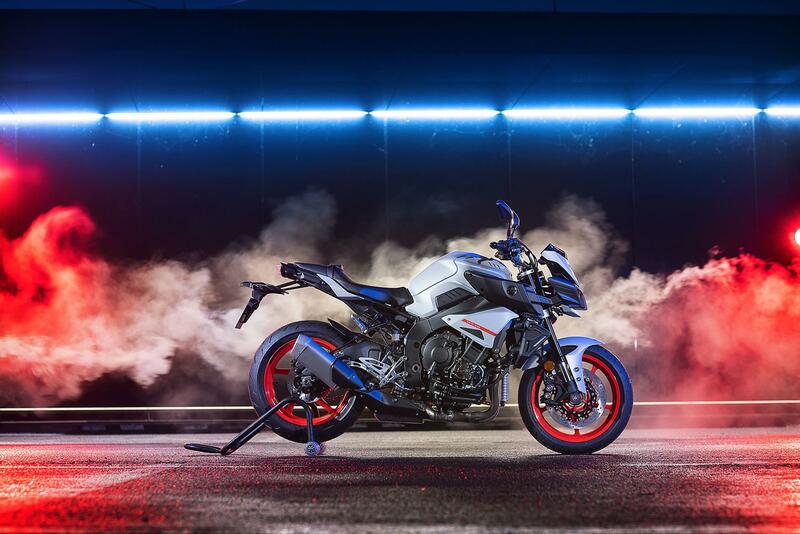 Drawing on the company’s racing heritage, the Garage Metal colour scheme will be available from March, featuring a thick, red, horizontal stripe with a solid black outline over a deep aluminium silver colour on the tank. 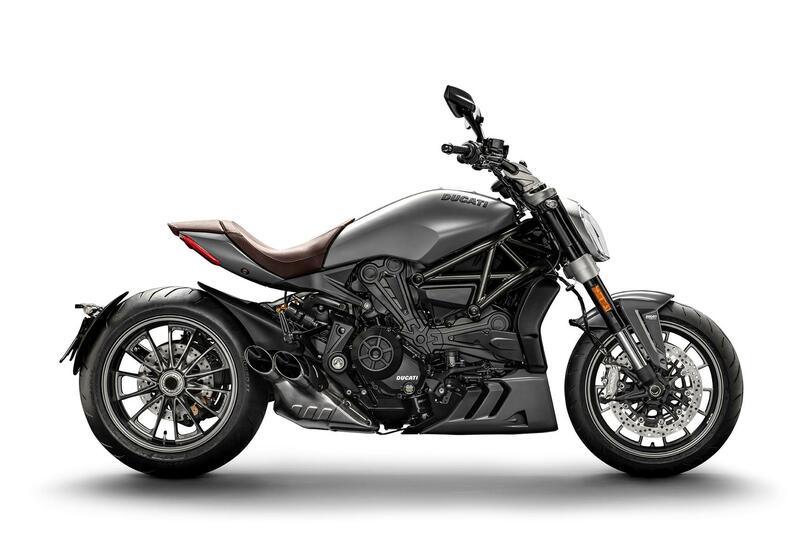 A new retro-feel colour and seat combo for the Ducati XDiavel feels superbly natural, and this has to be the best looking version to date. If you can forgive it the name, that lovely flat grey is called ‘Matt Liquid Concrete Grey’, and it contrasts nicely against the new textured dark brown seat cover that manages to tread the line between cruiser and café-cool.  With Energica being the sole maufacturer for the first-ever MotoE world championship beginning next season, it seems only right that the Italian firms releases a new racy paint scheme to coincide with it. 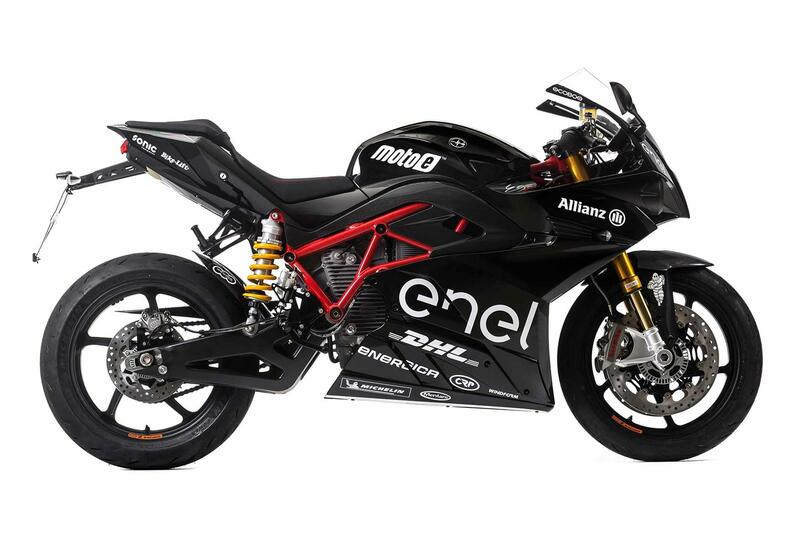 Draped across their flagship Ego electric sportsbike (which is to be used as the base machine in the series) the Ego Sport Black design features a nice contrast of gloss black against a striking red trellis frame, as well as various MotoE decals. Alongside this new paint, Energica have also gifted all of their motorcycles with 50% faster charging times, heated grips, traction control and cruise control. 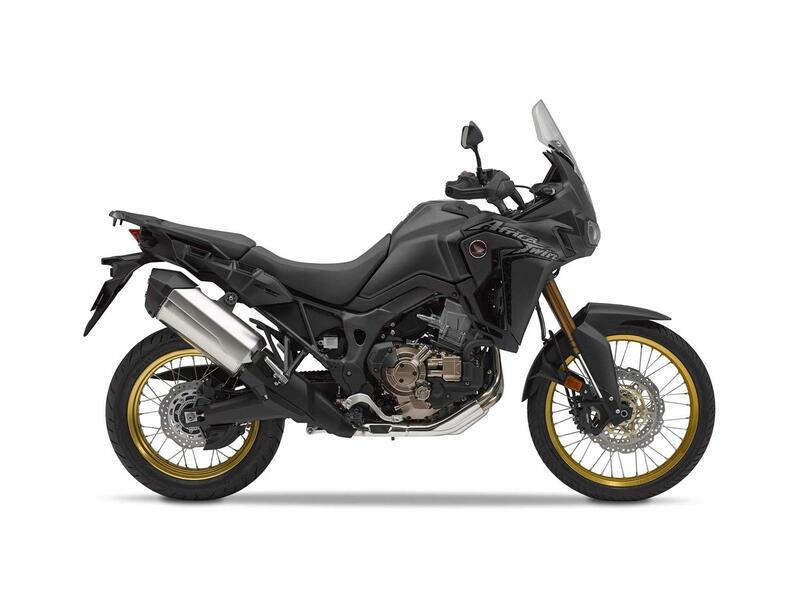 Honda will be releasing revised colours for their Africa Twin adventure bike this autumn, alongside an all-new Silver Metallic design for the Adventure Sports variant. The matt black bike (above) now gets a set of striking gold rims and both the red and tricolore designs now sport a black Africa Twin logo. The tricolore version also gets the royal blue from the top-spec Adventure Sports machine. 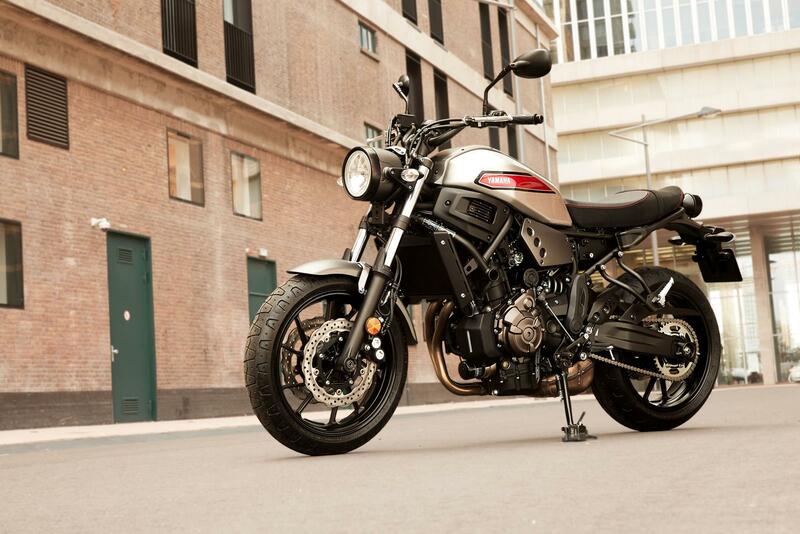 You can see these bikes debut in the UK at Motorcycle Live from 17-25 November at The NEC.